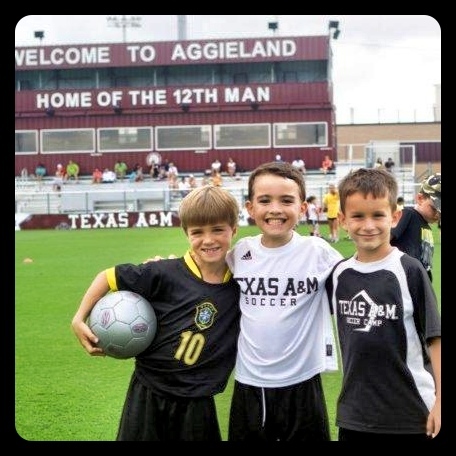 DESCRIPTION – The Texas A&M Soccer day camp is the ultimate Fun Soccer Experience for the young player (ages 6-10). All of the sessions are administered by the Texas A&M soccer coaches and are designed to be fun and educational for the players who are just starting to discover and fall in love with the sport. Campers enjoy a 7-1 camper to staff ratio and get to play at the Texas A&M facilities (some of the best facilities in the world!). Medical staff, Water and Gatorade is provided at the field for all participants. Advanced players should consider our 3-day overnight camp.